Established in 2013 by Dr. Younghoon Kim, PT,DPT,OCS,CSCS, Kim Institute offers a new concept of joint mobilization “Angular Joint Mobilization®”, a new concept of soft tissue mobilization “ Angular Soft Tissue Mobilization®”, and a new concept of soft tissue tension release technique “Angular Tension Release®” for health care professionals to treat patients to enhance movement, function, and quality of life. Dr. Younghoon Kim developed Angular Joint Mobilization® (AJM), Angular Soft Tissue Mobilization® (ASTM), and Angular Tension Release® (ATR) in early 2010 and continues to develop it to optimize the techniques. Dr. Kim's theory of Joint restriction is due to Rotation impairment with possible impaired joint shift which is completely different than conventional joint restriction theory(Gliding impairment) introduced by Prof. Kalternborn. This is a typical human joint movement where joint axis shifts slightly during motion. Which direction does gliding occur in this joint movement? Gliding up or gliding down? You will find out which direction it glides at an Angular Joint Mobilization - Extremity I Course. Angular Joint Mobilization has been an eye opening approach to joint mobilizations. It has open expanded my "toolbox" of manual techniques. We have already had great results with elbow,shoulders and ankles just after a few days of rehab. This technique definitely helped many our patients. A well thought out new approach to an old technique which is a staple in most, if not all physical therapists. The information is very practical and can be implemented right away. A new way to do and think about joint mobilizations. Excellent Evidence to support his reasoning. If nothing else it will open your mind to question what you have been doing. I have frozen shoulder and traditional mobs/joint stretching had no significant benefit. With Angular Joint Mobilization, I had significant and lasting increased AROM all planes. I have not been able to move my left shoulder into internal rotation with shoulder at 90 degrees since 1993. I now am ABLE to achieve full ROM after Angular Joint Mobilization!!! What I appreciated throughout the course is that Dr. Kim made it apparent that his theory and concepts build on traditional theories with respects to the "History" of joint mobilization, wants to improve outcome results, not out of disrespect. Thanks Dr. Kim for sharing your knowledge and expertise. By far the best course I have taken so far. AJM changed my manual therapy outlook after 7 years of treating. Feel like everything I have done was wrong or not the best technique. I have seen significant gains in one of my post op RTC repair patients who is very decreased with ER both passive and active range of motion. After applying Angular Joint mobilization with medial and posterior shifts, the patient was able to achieve 80 degrees compared to the usual 45-50 degrees. Very important course for the modern Physical Therapy and a great instructor supporting the field of PT. Thank you for your care, knowledge and keen awareness throughout the course. Awesome! The techniques are very practical and offers ease of application both for the practitioner and patient, and at the same time offering results right away. This course is extremely useful and applicable for the physical therapy setting that can be applied for any patient population to help improve any functional limitations. Dr. Kim’s course was fun and innovative. I feel I can apply his techniques as soon as I get back into the clinic. I appreciate his down to earth style, yet scientific reasoning. I learned so much. Thank you for reviving my enthusiasm for Angular Joint Mobilization. "Lots of immediate application for my patient population" I truly appreciate being able to treat patients with positive outcomes and causing less pain. This course was fantastic! I am excited to go back to work and use these techniques with patients. Really enjoyed Dr. Kim. Amazing results on increasing AROM of all peripheral joints with Angular Joint mobilization. Challenging in the way that it made me reassess concepts I had been indoctrinated in throughout my career. Learning to work smarter, not harder plus less pain for the patients made this a great course! Keep spreading the word and the skills. The demonstrations and followed by practice and guidance really helped get the skills and understanding! Enjoyed the course. Dr. Kim was very involved, thorough in his subject matte and very willing to share his knowledge. Enthusiastic and knowledgeable. The technique is easily understood and can be applied in different position based on different needs, flexibility or comfort, so it's easy to implement with patients! Easy on the therapist's body too! Good practical application of techniques and very effective with good results seen! User friendly techniques which rely on patients response rather than being "technique and positional" dependent. Techniques are easy to follow. The research behind the technique of angular mobilization is enlightening. Able to use techniques in the clinic right away. Techniques are not stressful on the therapist's body - able to adapt techniques to individual therapists!!! Angular Joint Mobilization is easy and practical concept to understand and Great deal of hands on lab!!! Great concept!!! Used much less body force then other mobilization technique to improve ROM. It's a new style of mobilization and enhance the knowledge of body joint mechanics. Dr. Kim, I have been practicing and getting better with my technique so far on shoulders, knees, and ankles. I'm happy to say my patients really like the technique, and I have had positive results from gaining ROM and ease of pain. It's so nice to hear from a patient when they return for follow up that "I felt so much better, what did you do different?" My co-worker is going to take your class soon and I will be training my PTA on the technique. Please thank your wife for persuading you to "write it down". Thank you for the class. Dr. Kim's Angular Joint mobilization course was fantastic! Even though a lot of time was spent on the joint mechanics section, it was needed. This course goes against everything we were taught in PT school. I was performing joint mobilizations in the clinic that did not fit what I was taught in PT school and after taking this course I have a better understanding of why mobilizing in the apposite direction works. This course provided a different approach and theory with manual therapy. Techniques are easily applied to all extremity joints and has good carry over to clinic setting. Dr. Kim teaches a myriad of ways to work smarter, more efficiently to make significant ROM gains. Thank you Dr. Kim!!! Great Class. I learned a lot about different ways to mobilize joints and I look forward to using it in my practice. Course was very organized and Dr. Kim was very helpful throughout his course. Saw immediate change with Angular Joint Mobilization. Presented a lot of evidence at the beginning of the class. The attention to detail and explanations are made easy to comprehend. The course instructor is very helpful with manual assistance/demonstration of course. The improvements noted on restricted joints after AJM were astonishing. This course blew my mind, it took all my previous knowledge and hit me in the head with a brick. Hi Dr. Kim, I am having very good success with Angular Joint mobilization. It is helping me with several patients who have plateaued. Thank you for sharing your knowledge. As a manual physical therapist I thought I was already doing what I thought Dr. Kim was teaching. The method he has developed is different than doing advanced joint mobs the way I learned them. His technique is very comfortable on the patient and extremely effective. I am very pleased and glad I attended his seminar and can see the difference. It is going to make on patients using this new approach. Very good course. I can see myself using AJM in my practice. I feel like it's a lot easier on my hands vs the "traditional" joint mobs that I've learned in the past. Dr. Kim provides valuable insight into a new technique that is validated by numerous research studies, personal experience + excellent patient outcomes. I really enjoyed this course. Dr. Kim was great at explaining the techniques. I can't wait to try them on my patients. Looking forward to more course by Dr. Kim. Very effective techniques that I will use in the clinic. Dr. Kim is very relatable and teaches well. Certainly challenges the didactic paradigm of joint mobilization. Fantastic! This course was really impressive, reminded me of thinking joint mobilization associated with gliding, roll or rotation. I would recommend other PTs to take this course so that they enhance their professional field & practical experience. I appreciated the relaxed learning atmosphere while learning intensely useful knowledge and techniques. Dr. Kim was obviously knowledgeable + passionate and I really enjoyed his teaching style. Dr. Kim's AJM is the first mobilization course I have taken that allows the clinician a true feel for joint restrictions through the lever arm. I believe when combined with TPR / MFR will be a powerful tool. Amazing class, Results that you can see right away. Would highly recommend + will be looking forward to his next class when posted on his website. One of the best manual therapy course I have taken recently. Good evidence based techniques, but also very intuitive and user-friendly for transition directly into patient care. Excellent course, well organized, great information and lots of hands on training. Dr. Kim has formulated a course that provides practical application for joint mobilization. It is safe, effective and indicated for almost my entire patient population. I can use this tomorrow. Very powerful and see results right away. Very knowledgeable instructor, personable and made the class fun. The techniques presented make an immediate improvement improvement in range of motion in a short amount of time. This will be very beneficial to my patients. This was an excellent hands-on class with enough time spent on return demonstration so that you feel confident to use it the next day in the clinic. Very good course. Will be able to use these new techniques in my clinic right away, very useful and applicable. I would like to thank you for the awesome course. First day after we finished I was at my clinic and my patients really noticed a difference with the use of AJM. From shoulder to knees the results really stood out in comparison to traditional mobilizations. Angular Joint Mobilization is a great concept! It allows me to re-gain range of motion fast and effectively. Patients appreciate the obvious improvements and return to normal function quicker. I can highly recommend Dr. Kim’s Angular Joint Mobilization course. The class was easy to follow and very applicable to my every day clinical practice. Having Dr. Kim instruct his method allowed for myself and staff to be educated with the latest understanding of joint osteo and arthrokinematics. This translates directly to improve patient treatments and outcomes. My staff and patients have loved the results we have made, this is a standard to all our patients, as well as our evaluations being more precise. We thank you very much and look forward to your next course. Dr. Kim's descriptions + hands on practice and feed back made learning easy. My shoulder patient had good improvement despite the fact that she had a significant amount of pain with movement. I had her do a before and after AROM in standing, and she was pretty pleased to see such a difference in a relatively short period of time with AJM. When applied correctly, felt really good, easy to apply, good immediate results and there was no pain or soreness, even on my old, wrecked body. Thanks again. Most interesting and ground-breaking class I have attended since graduating therapy school. A very different approach to joint mobilizations that is very effective and adaptive. A must take course! The Mobilizations I learned in the course were easy to learn, and can be applied in the clinic right away. The theory behind Angular Joint Mobilization is logical. YOU CAN SEE FUNCTIONAL GAINS IN MOTION IMMEDIATELY. Great course, very enthusiastic and energetic instructor. Dr. Kim's Angular Joint Mobilization course provides a new method of mobilizing joints of the extremities. It provides immediate results and is easy to apply to patients. I have been using AJM on my patients in everyday practice since taking Dr. Kim's course. For the most part, I have been using on my post-op shoulder patients, and we see a significant difference in the pain and range of motion within just 1-2 treatments. I plant to continue to use AJM in practice, and in more patient populations. I have been using the techniques with good results. 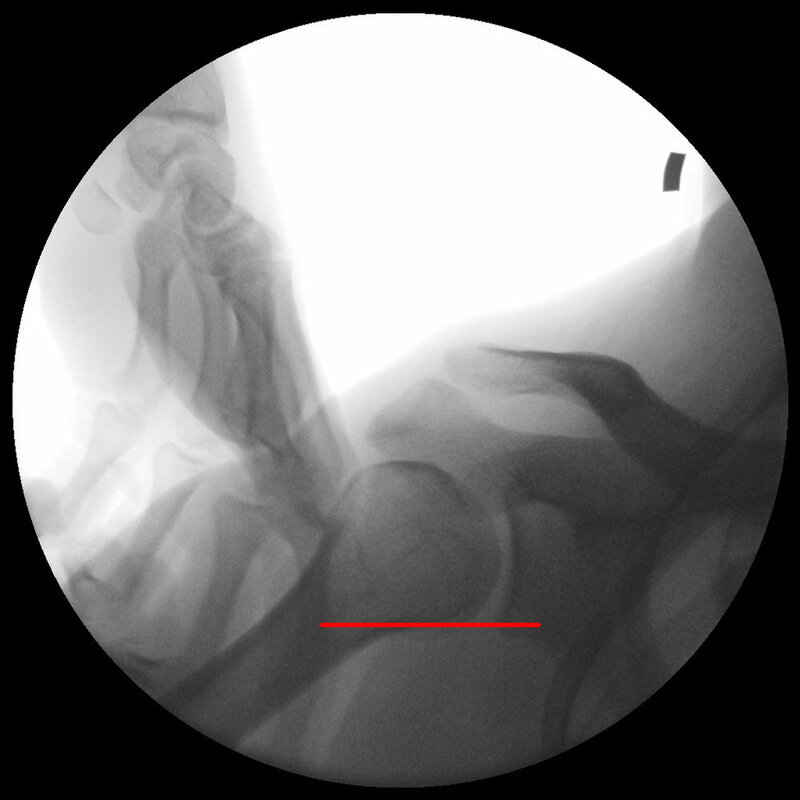 For example, I had a recent TKR patient who was having most of his pain at the proximal tib-fib joint. After a couple of treatments with AJM, the pain resolved! A great hands on course with immediate use in the clinic and thinking out of box beyond "traditional" joint mobilization for patients who have not responded well to traditional joint mobs- Dr. Kim provides excellent hand on instruction in AJM. EXCELLENT COURSE! - "This course changed my thought process about joint mobilization and made much more sense as compared to previous methods that I had learned and utilized in the past"
Angular Joint Mobilization targets not only joint restrictions but also soft tissue and biomechanical deficits all in one. After this course I feel like I can make a huge difference in my manual therapy treatment with my patients on very next day. Thank you Dr. Kim!!! God bless you for the sharing of knowledge...the education, skills and clinical application that you facilitate and provide, only to be supported by evidence. The angular joint mobilization (AJM) techniques have been very helpful, sensitive and specific for many patients since we experienced and completed Extremity I course. It has been wonderful to supplement our treatment strategies and complement current manual techniques we apply in the clinic daily. Patients have been responding very well to your AJM techniques, including post-operative patients from OCD lesions, rotator cuff repairs and total joint replacements. Furthermore, my co-workers have been quite impressed and advocates for the techniques you taught us. I heard them discussing multiple cases of "tough patients" who didn't respond to previous manual techniques. However, with AJM, they are continuing to progress functionally, overcoming a plateau in their function. We are very interested in a spine course considering the prevalence of patients with lumbar and cervical dysfunction in the outpatient setting. I really learned a lot from this course. All skills will easily be implemented into my treatment "Tool box". Dr. Kim does an excellent job at answering questions and giving feedback. Thank you so much for making the trip to NY. Since your course I have utilized your techniques in my everyday practice. I am getting great feedback from patients and feel as though I am able to make a bigger difference in their recovery. I will continue to use AJM and look forward to more courses with you in the future. please keep me informed. Thanks again. Dr. Kim's philosophy and techniques for joint mobilizations are excellent. He is very knowledgeable, easy to follow and understand. Dr. Kim is very helpful and has no issues spending more time on specific topics until you feel comfortable with the concept + execution of treatment. Excellent course. I've been trying Angular Joint Mobilization on shoulders mainly and seeing good results. I am so happy that I took Dr. Kim's course. I don't think I haven't taken anything in years where I was able to see a difference in joint mobility so quickly. It has worked well on shoulder and ankle patients the easiest so far. Patients are surprised and pleased that the technique is showing results quickly and they seem to maintain many of games. Thanks again for Dr. Kim's knowledge and how enthused he is to teach. I look forward to taking a spinal course in the future. We love using Dr. Kim's techniques in our office on a daily basis and thank you for mailing us the new revised manual which is very handy around the clinic. I really enjoyed Dr. Kim's class and was able to take what I had learned during the weekend course and use it right away on my patients. I have a patient who had a radial head replacement and we are having hard time getting full flexion and extension of her elbow. She has just got to a point where I could be a little more aggressive with my mobilization so I decided to give Dr. Kim's techniques a try over the normal joint glides I would usually perform. I was able to gain much more motion in both directions. She was not sore nor had increased pain afterward and felt like she was able to see the increase in motion in her daily functional activities. I also have used the techniques on several shoulders with various diagnosis. I have seen increases in mobility on all of these patients and they felt like the mobilizations were less stressful and less painful as they were being performed vs some of the other mobilization techniques I have used in the past. I think Dr. Kim is on to something with his ideas and techniques and I am glad I got to experience them first hand with him. Excellent Course. I learned in my day to day patients treatment techniques. I have been able to use Angular Joint Mobilization for the shoulder and ankle patients. Great results!!! The class was very informative and practical, a lot of knowledge given for ortho patients to advance my treatment techniques. I found the Angular Joint Mobilization course was very helpful with stiff patients having slow progress. I was able to use this techniques the next day in the clinic. I could actually feel the tissue give during the treatment session and range has increase immediately. Loved the course and will take another course from Dr. Younghoon Kim. I really enjoyed the class very much as it is hands on and it gave me a chance to practice on each joint. Dr. Kim is very accommodating and knowledgeable of the topic. I've bee using it on my patients and it's more practical to use than the typical joint mobilization techniques. I tried Angular Joint Mobilization patient who has a wrist and finger issue and it's been doing wonders for him - increased ROM and decreased pain every time! It's a great tool to have! I have been applying Angular Joint Mobilizations in the clinic and have gotten good results. My adhesive capsulitis patient gained a lot more in flexion and external rotation and reported feeling "less tightness" post treatment. She was really happy with the results and feels more hopeful in her progress. I have also applied Dr. Kim's technique to my post TKA patients who have appeared to plateau in AROM. They also reported feeling much less stiffness post treatment and have gained, as well as maintained, range of motion. It has been very exciting to see these results in practice since attending Dr. Kim's class. Angular Joint Mobilization is great tool that I can use to improve my manual skills, as well as improve efficiency of treatment outcomes. Thank you!